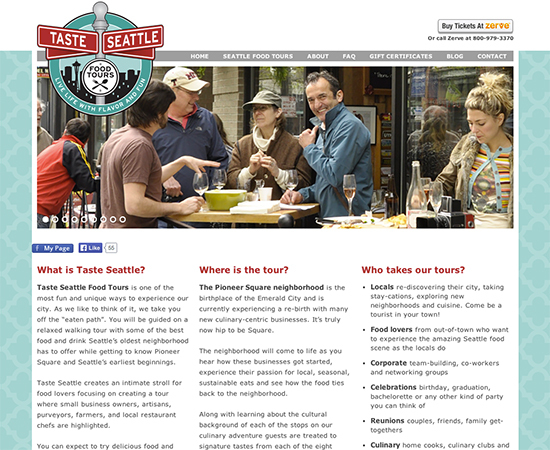 purpose: To promote, market and sell tickets for Seattle based food tour company. role: Worked with web developer to design and layout site in Photoshop. Developed graphics within site.